An email strategy that not only helps create relationships with current and potential clients, but provides business opportunities as well. Email Marketing is easy to personalize for each individual person. With this day and age, email marketing is still relevant. It is a good way to get people to revisit a blog, website or social media networks and generate more traffic. Email Marketing is also a good way to remind your current clients of referrals you’ve provided or new services you’re offering. 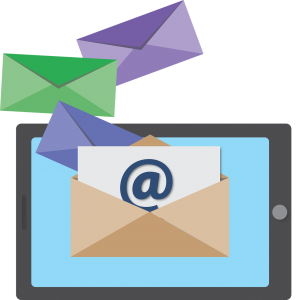 Why hire us to run your Email Marketing Campaign? Caruso Digital is a highly motivated team that becomes a partner to our clients. We help them every step of the way and include them in our process. We monitor campaigns weekly and send reports or information involving the campaign monthly to our customers. Your current clients already know how great of a company you are so we don’t need to keep emailing them about that. A good email marketing campaign needs to help show your clients that you are leader by sending them information about their company that not only is relevant, but compelling as well.